Four leg table base with a dark grey finish and Teak insert. Suitable for use with table tops up to 700mm square or round. Available from stock for a 2-3 day lead time. 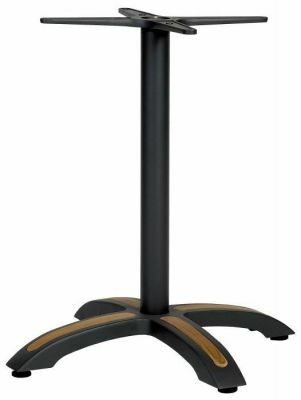 Stunning professional ptable base at standard dining height. The base includes a dour fout base for stability, with teak finish inserts for a stylish effect. Delivered to a mainland UK address within 3 working days.